Stainless steel finned tube heaters are designed for industrial application. The heaters are suitable for use in corrosive areas such as: filling stations, water purification installations or storage areas. The fin material is made of stainless steel (AISI 409). Proofing IP66/IP67. Type TR is supplied with built-up thermostat, adjustable between +5°C to +30°C. Type ST is suplied with built-up step-controller: 1/3, 1/2 and full power. 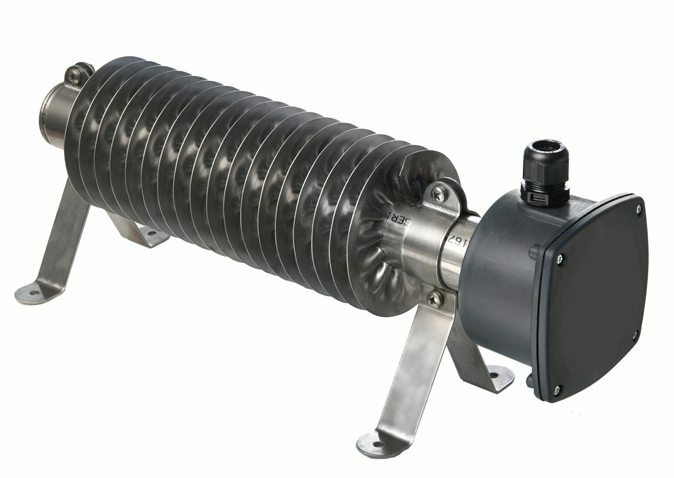 Finned tube heater type WD-H in stainless steel are designed for industrial applications. The heaters are suitable for use in corrosive areas such as: filling stations, water purification installations or storage areas. The fin material is stainless steel (AISI 409). Proofing IP66/IP67. The Sinus-Jevi finned-tube air heaters consist of a steel tube, with rolled-in steel fins. The rolling-in process ensures the best possible heat transfer by the fins to the environment. 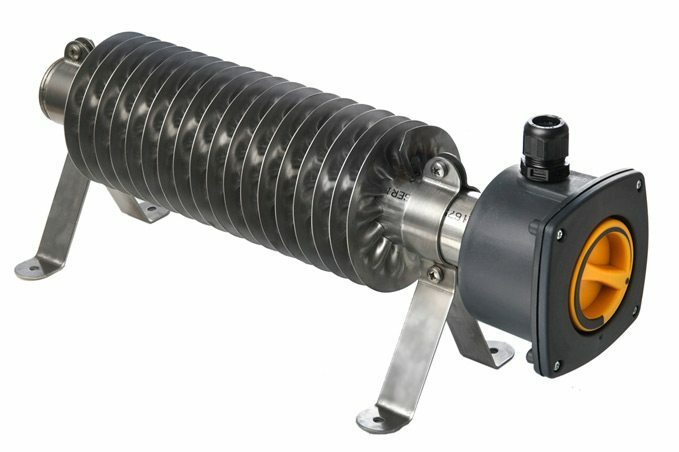 The finned-tube air heaters are spray-proof as per IP66/IP67. The appliance meets with the CE directives.